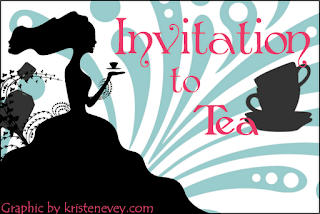 The Crazy Bookworm: Invitation to Tea: Who would you invite? I did a post a little while ago about Characters I would love to have dinner with. This put a spark in my mind for a future feature. Then the amazing Kristen Evey created this AMAZING button for it. Isn't it stunning?! So without further a do, I am now introducing The Crazy Bookworm's newest feature Invitation to Tea(credit to Kristen Evey for the epic name!) Feel free to grab the button and do up your own posts as well! This is a spuratic feature, meaning it has no set day, so feel free to post whenever you feel like it! I will be doing a group of 5 for each post, but your welcome to post as many characters as you like! I would love to have tea with Enzo. I have tea with my 3 dogs all the time, but I would love to share a tea with Enzo. What a strong and powerful pooch he was. This book made me laugh, and oh boy did it make me cry! Enzo, you were one awesome dog! I'm sure I'm not the only one that would want to have tea with Mia from If I Stay. This was such a heart-breaking yet hauntingly beautiful story, that I just want to sit and just listen to Mia. I know, I know. I kinda cheated with this one. I want to have Tea with Will. If I Stay was more of Mia's story. Where She Went was more so Will's story. I would love to hear about his stories on the road, and the thoughts he had about Mia will he was gone. This was one of the most amazing dog stories I have ever read. If you chose to read it(which I can't suggest enough that you should!) then be sure to have the tissues close by. The author shared a lot when it came between this character and his dog, but I would love to have tea with Fletcher and learn about the life he had before he entered the war, and the last years he had with his pooch. I don't think this book needs much explaination on why I chose it. Melinda has helped a lot of teenagers out there in the real world. It would be a pleasure and honour to sit down and share some tea time with her! Would love to see your choices, please stop by and leave your link! I'll have to think about this one. Famous and fictional people aside, I would love to have tea with my dad. He's been gone for so many years and I'd love to have another conversation with him. It wasn't until I grew up that I realized what an amazing man he was. Aw, yay! It's so awesome seeing it up there. :) Good choices too. And Fletcher would love to have tea with you as well, of that I have no doubt.